Unakaffe System is an espresso-based coffee capsule brewing system from Indonesia that can be used for both inside and outside the home. This product uses a high-pressure brewing system that was first developed in Switzerland. Collaborating with Excelso, a premium local coffee and cafe brand known for its native Indonesian coffee varieties, Unakaffe System serves Excelso capsule coffee that can be enjoyed at home with standard cafe quality. Unakaffe System and Excelso are under the auspices of PT Santos Jaya Abadi, the largest coffee production company in Indonesia and one of the largest in the world. Here's why I love Unakaffe System: Brewed coffee tasted great, elegant design and compact size, worked very quickly, easy to use, easy to clean. Now I can wake up and smell coffee every day in my room. Coffee is one of my mood booster to do daily activities. 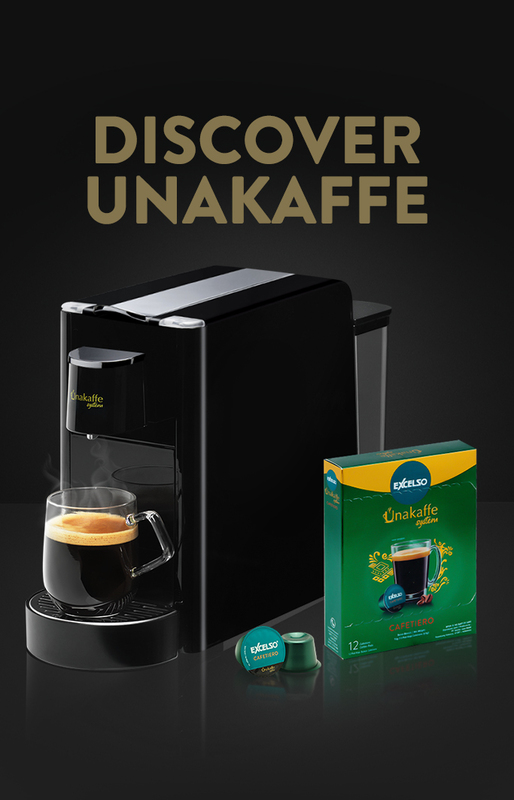 Thank God Unakaffe is here to provide a great coffee with simple brewing method! This coffee capsule machine brewing system Unakaffe will practically help for a coffee person like me! With a low-watt machine from Unakaffe System, we can be our own barista and produce a great quality of black coffee within seconds.